AMERICAIN (USA) (Bay or Brown 2005-Stud 2013). 11 wins-1 at 2, VRC Melbourne Cup, Gr.1. Sire of 182 rnrs, 75 wnrs, inc. SW Causeforcommotion (Santa Anita Possibly Perfect S., L), SP American Joy, Amerock and of Geegee Blackprince, Costello, Americain Woman, Aristocat, Blue Jay Way, Pelonomena, Rodessa, Toricain, Tarwin, American Sunday, Eperdument, Sugar Cain, Tour Down Under, American in Paris, Bobby Baby, Finished, Plenty Patriotic, etc. SPRING BOUND, by Lonhro. Winner at 1300m in Aust. Half-sister to Girlsarebackintown. Dam of one foal. Girlsarebackintown (Murtajill). Winner at 1100m, 2d Taranaki RC ITM Winstones Wallboards H., 3d Taranaki 2YO Classic, Gr.3, ARC Champagne S., L, Waikato RC NZB Insurance Pearl Series 2YO S.
King of Smarts. Winner at 1200m, HKJC Gwangju H., 2d HKJC Heung Yip H., 3d HKJC Fortress Hill H.
Strongman. 3 wins at 1600m, 1800m, 3d ATC NBN Central Coast TV P.
Charles the Third. 6 wins from 1600m to 2000m to 2017-18, 2d BRC Relaxed Racing H.
Gethsemane. 4 wins from 1400m to 1650m in Aust. Insight. Winner at 1300m in 2017-18 in NZ. Spring Bound. Winner. See above. Triage. 3 wins to 1400m to 2018-19, 2d MVRC Bertocchi Christmas Masterpiece H.
Money Back. Winner at 1400m in 2018-19, 2d MVRC Dynamic Welding H.
Broo Boss. 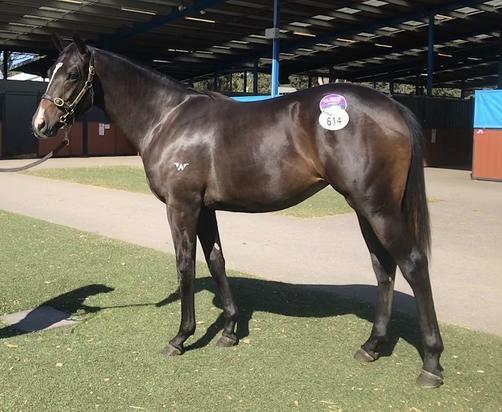 Winner at 1600m in 2018-19, 3d MRC (Mornington) Eliza Dry Cleaners P.
Bounce Back. 6 wins from 1200m to 1800m to 2017-18 in Aust. REGENT STREET (Carnegie). 7 wins from 1200m to 1600m, A$338,600, Queensland Guineas, Gr.2, VRC Straight Six H., L, Winter Championship Heat, BTC Yellowglen H., Harry Plant H., QTC Belmont Park H., Gentle Jim Welter H., 2d QTC Nudgee College Cup, Insecure Welter H., Heaven Night Club 2YO H., 3d VRC Yallambee Stud S., Gr.3, 4th GCTC AD Hollindale S., Gr.2. Soprana (Carnegie). Winner. See above. Feed the Meter (Danasinga). 6 wins from 1300m to 2150m, £1,161, NZ$3,700, A$146,050, QTC RAAF H., STC Sterling H., BTC Gift of Life Blood Service H., 2d STC Canterbury Hurlstone Park RSL Club H., BTC Channel Ten's Australian Idol H., QTC Positano H., 3d QTC Grand Prix S., Gr.2, Wyong Cup, L, QTC Triple M's Homegrown Breakfast H.
Daaly Power. 2 wins at 1400m, 1600m, TRC Australia Post P.
CELEBRITY DREAM (Thorn Park). 10 wins from 1000m to 1800m, A$555,550, to 2018-19, Perth Racing La Trice Classic, Gr.3, WATC Jungle Mist Classic, L, Starstruck Classic, L, Jungle Dawn Classic, L-twice. SARACINO (Per Incanto). 3 wins at 1200m, 1400m, NZ$184,375, A$181,075, VRC Danehill S., Gr.2, Waikato RC Foxbridge P., Gr.2, Wellington Guineas, Gr.2, 2d Taranaki 2YO Classic, Gr.3, 3d Manawatu Sires' Produce S., Gr.1, Waikato Sprint, Gr.1.